Colombo, August 18 (The New Indian Express): The Governor of Sri Lanka’s Hindu Tamil-majority Northern Province, Reginold Cooray, has defended the building of Buddhist temples in the province saying that it is only part of a boom in the building of places of worship there. “Big Hindu kovils are being built and many Christian denominations have come up with their buildings. But there are only 13 Buddhist temples in the entire Northern Province,” Cooray said. “We don’t object to the Hindu kovils and Christian churches coming up. We welcome them,” Cooray, a Buddhist ,said wondering why some Tamils should object if the Buddhists built their viharas. The Governor was answering a question at a press conference here on Thursday about the Buddhist temple being built on a Tamil person’s private property at Kokilai in Mullaitivu district, which has caused unrest among the local Tamil population. 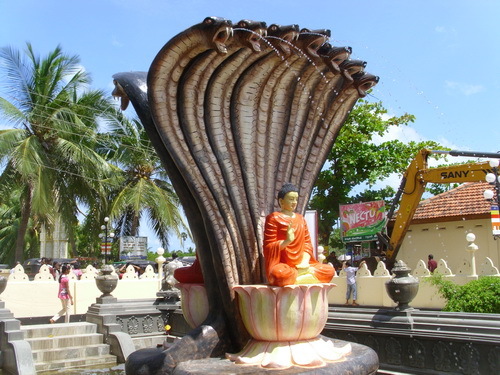 The Tamils see the mushrooming of Buddha statues and the construction of Buddhist temple as a projection of Sinhalese-Buddhist power in the North after the defeat of the Liberation Tigers of Tamil Eelam (LTTE).Tamils wonder why Buddhist temples are being built and Buddha’s statutes are erected in areas where there are no Buddhists. Most of them are constructed by the armed forces. Asked about the charge made by the Northern Provincial Council and other Tamil politicians that some former combatants of the Liberation Tigers of Tamil Eelam (LTTE) were injected with a poisonous substance by the Sri Lankan army while they were in detention or undergoing rehabilitation in army run centers, Cooray said that no such complaint had been made to him. Reginold Cooray, Governor of the Tamil-majority Northern Province of Sri Lanka, who is a Sinhalese Buddhist politician from Kalutara in South Sri Lanka. Thamilini, the head of the Women’ Political Wing of the LTTE had cancer even when she was in the militant groups says her colleague Thamilkavi. 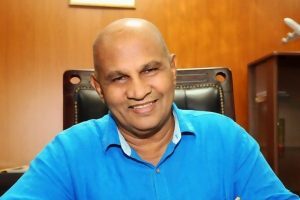 Sri Lankan Health Minister Rajitha Senaratne is on the same page Governor Cooray on this issue. He said that there is no need for American doctors ,when they are local doctors who are competent to examine the cases. According to T.Ravikaran, a Northern Provincial Council (NPC) member for Mullaitivu District, 104 former combatants of the LTTE had died allegedly due to injections which were given in the guise of inoculating the cadres against communicable diseases. The NPC passed a resolution expressing concern and calling for remedial measures. 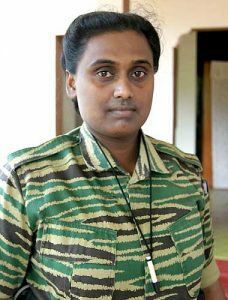 Meanwhile, a former senior woman combatant of the LTTE, Tamilkavi, told a government commission on reconciliation at its sitting in Omanthai on Wednesday, that some politicians and the Tamil media are spreading lies and damaging the reputation of former women combatants. “Tamilini and Sivarathi ( both former combatants) did not get cancer because they were given injections in the rehabilitation camp. They were ill even when they were in the militant movement. In fact, we all knew about this and we gave Sivarathi only very light work,” Tamilkavi said. “Politicians and the media are alleging that female combatants were sexually abused while they were in detention or rehabilitation. This is a canard which affects the life of 2000 females combatants who had surrendered. We will file defamation cases against those who make such charges,” Tamilkavi warned.